The process of orthognathic (“jaw”) surgery allows us to correct deformities of the jaw and malocclusions. 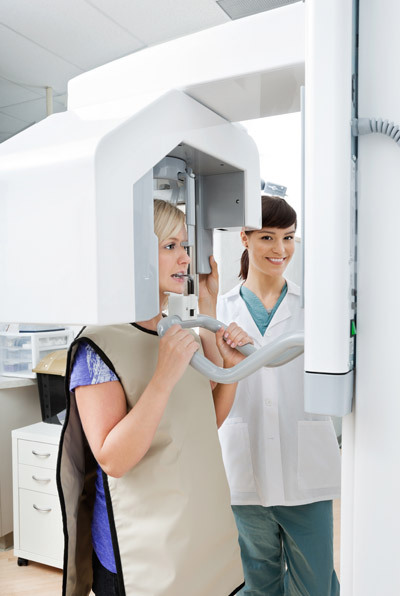 We use a wide variety of procedures to move teeth, bones and supporting hard and soft tissues into optimal position. Sometimes the need arises from congenital abnormalities, other times it is due to trauma or growth disturbances. Orthognathic surgery can bring improved functioning to patients in chewing, speaking and breathing. It can also improve the aesthetics of the face. Working together with your orthodontist, who will move the teeth into optimal position in relation to the jaw, Dr. Sanovich will then perform surgery to correct the position of the jaws. Please visit our Photo Gallery for some examples of jaw repositioning procedures. For more information about Jaw Surgery or an appointment call us: Dallas Surgical Arts Phone Number 972-581-9996. Facial Aesthetics: Because jaw surgery corrects severe bite problems such as over bites, under bites, cross bites and open bites, facial appearance usually improves. Better Breathing: Typically, orthognathic surgery brings relief from sleep apnea and better breathing overall. Improved Speech: Poorly aligned jaws can affect speech. Jaw surgery can correct the underlying issues behind many speech issues. Pain Relief: For those who experience painful or sore jaw muscles, orthognathic surgery may improve symptoms. Who is a good candidate for jaw surgery? Anyone in good health with one of the above symptoms may be evaluated for orthognathic surgery. However, because this is a very serious surgical process, it is typically reserved for those who display significant difficulties with symptoms or health. We usually recommend the use of less invasive treatments first before considering jaw surgery. Thanks to consistent technological advancements over the years, recovery time has been minimized and results have been maximized when it comes to corrective jaw surgery. Advanced imaging allows us to better understand your anatomy and predict surgical outcomes with improved accuracy. General Anesthesia: Surgery takes up to 4 hours and is performed in our surgical center (or hospital) under general anesthesia. Recovery: 3 weeks at home, and 9-12 months for complete healing. Regular checkups are required during your recovery phase. Hospital Stay: Some patients are able to go home the same day of surgery, however occasionally patients are required to stay in the hospital for 1-2 days of care. Jaw surgery is a very significant surgical process that often takes 9-12 months to heal from completely. Patients usually return to work after about 3 weeks of healing at home. The choice to have corrective jaw surgery is a very serious one, and also a very personal one. If you believe that you have untreated jaw structure issues, please call us today at Dallas Surgical Arts Phone Number 972-581-9996. Dallas Surgical Arts offers Jaw Surgery for patients in Dallas TX and surrounding areas. Call Dallas Surgical Arts Phone Number 972-581-9996 today.